The Jacksonville Jaguars have signed fifth-year DT Stefan Charles as an unrestricted free agent, the club announced today. Charles, 28, has appeared in 49 career games and has previously spent time with Detroit and Buffalo after originally signing with Tennessee as a rookie free agent on May 10, 2013. After being released by Tennessee on Aug. 31, 2013, Charles signed with the Titans’ practice squad on Sept. 1, 2013.  On Oct. 30, 2013, Charles was signed by Buffalo to the 53-man roster off Tennessee’s practice squad. During his time in Buffalo, Charles totaled 48 tackles (29 solo), including 5.0 sacks in 37 games. Charles was signed by Detroit as a free agent on March 11, 2016, and appeared in 12 games last season for the Lions, totaling 12 tackles (seven solo). Charles was placed on the team’s reserve/injured list on Dec. 28, 2016. A native of Toronto, Ontario, Charles was the 10th overall pick by the Edmonton Eskimos in the 2013 CFL Draft. Prior to being drafted by Edmonton, Charles played three seasons of college football for the University of Regina Rams in Saskatchewan, Canada, appearing in 20 career games and totaling 50 tackles, 19.5 tackles for loss, 9.5 sacks, three forced fumbles and two passes defensed. Charles played the 2009 season with the Big Kahuna Rams (BCFC) before joining Regina. Charles, 6-5, 320, was born on June 9, 1988.